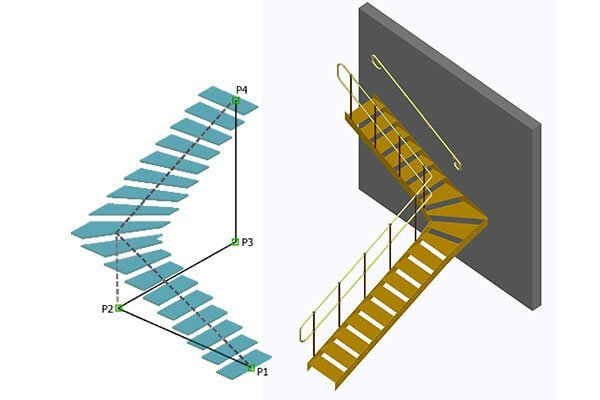 Swiftly design stairs and railings in Advance Steel with the innovative app of BIM Designers. 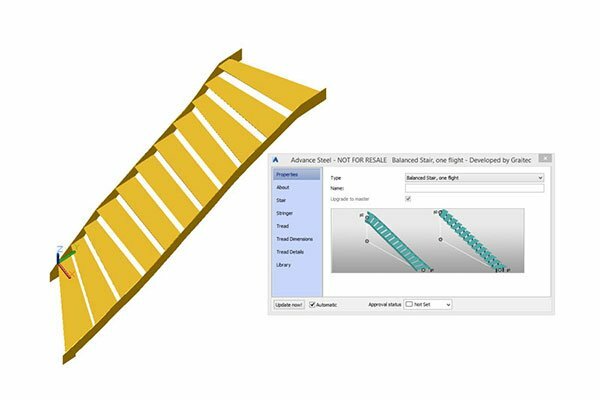 The Stair and Railing Designer module brings a wide range of commands that aim to achieve a new level of productivity, whilst enabling you to make a broad variety of fast customizations. Besides the straight stairs, which can be rapidly created with one, two or three flights and also easily edited, the module offers commands for balanced stairs that can have one or two flights. 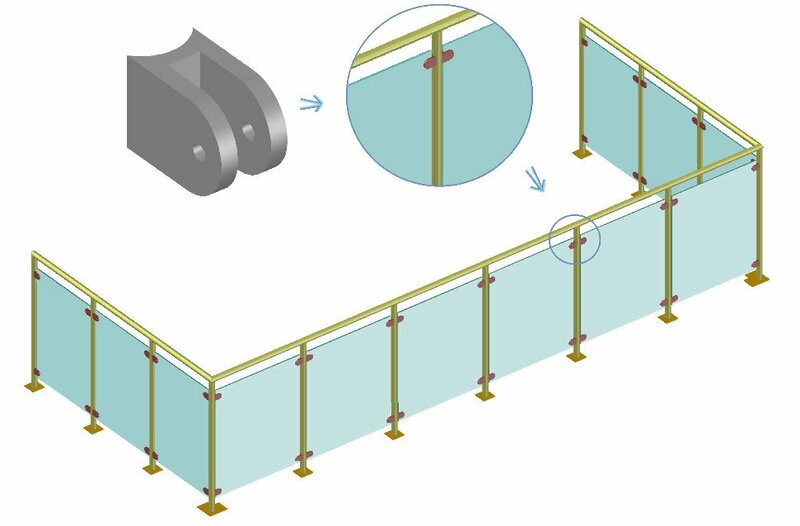 You can choose between many types of railings: standard, wall, ball post and key clamp. 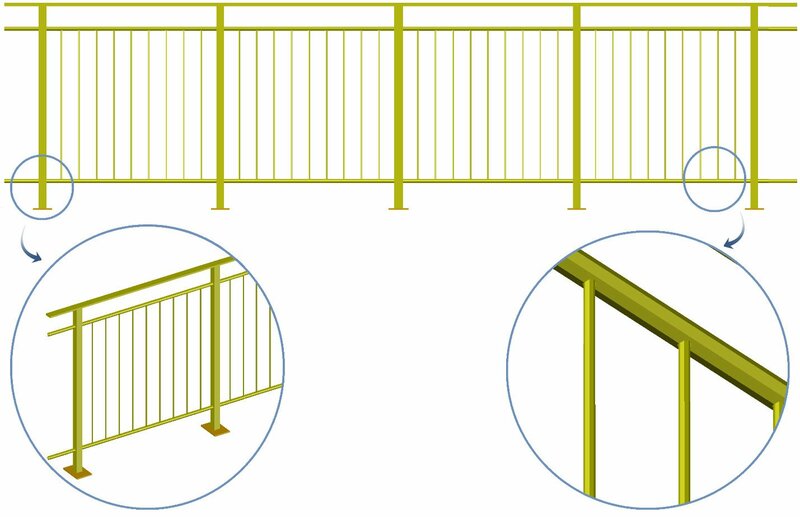 The railings can be quickly defined starting from points, lines or beams. Also, you have the option to design infill panel with the aid of pickets or plates, which can be made of any type of material available, including glass. 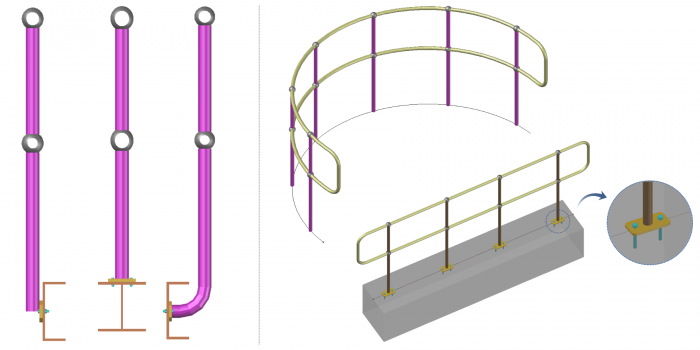 It is worth highlighting that you also have the possibility to design key clamps railings, an alternative to the “classic” welded rails which are more and more demanded because the system can be mounted fast and easy on different site variations, without special tools or qualified labor force. 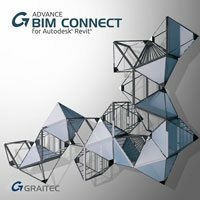 On the Graitec Stairs and Railings ribbon, you’ll find commands that allow you to design both balanced and straight stairs. 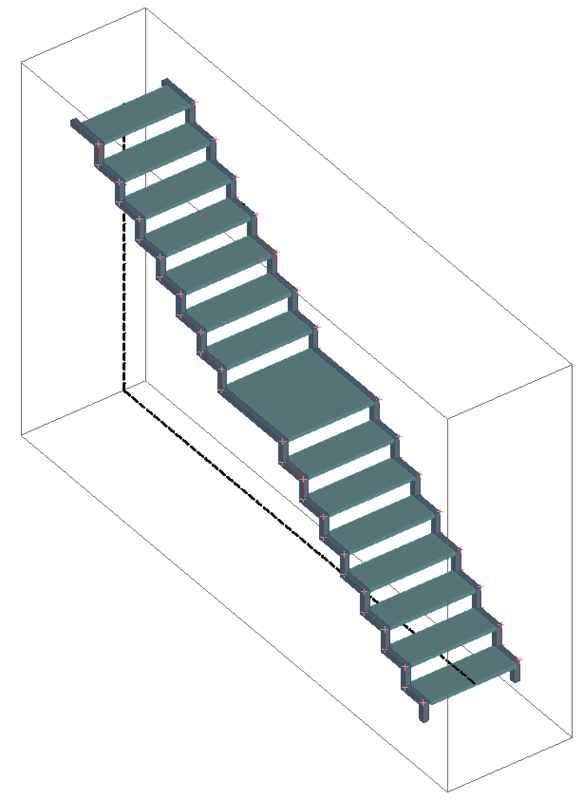 Regardless of the stairs type, the flights can be easily created and edited considering the fact that the module will automatically ensure ensemble elements binding. Thus, the painstaking work of manually moving all the elements due to the fact that one of them needs to be replace correctly place is a thing of the past. 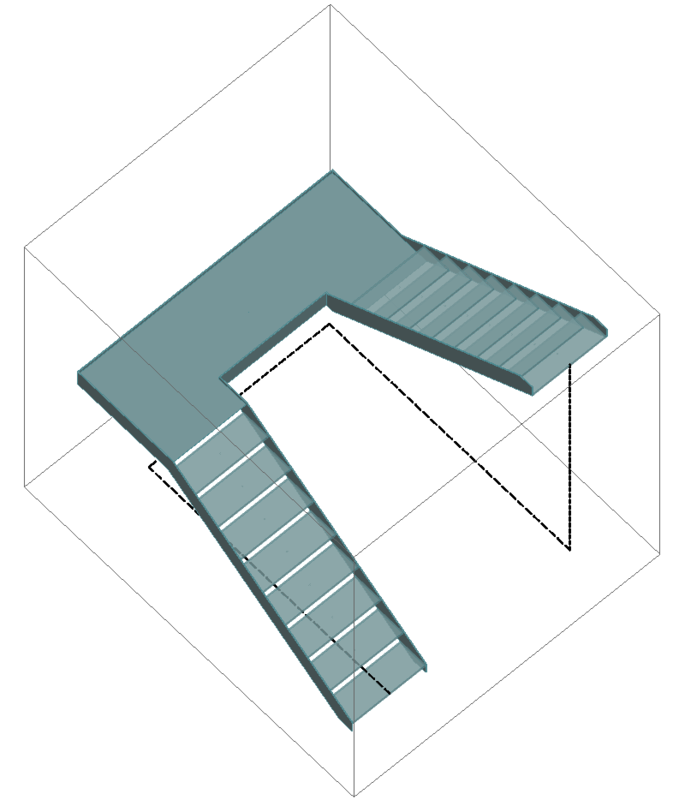 Also, it is good to know that our macro contains all necessary technical details in order to assembly stairs. 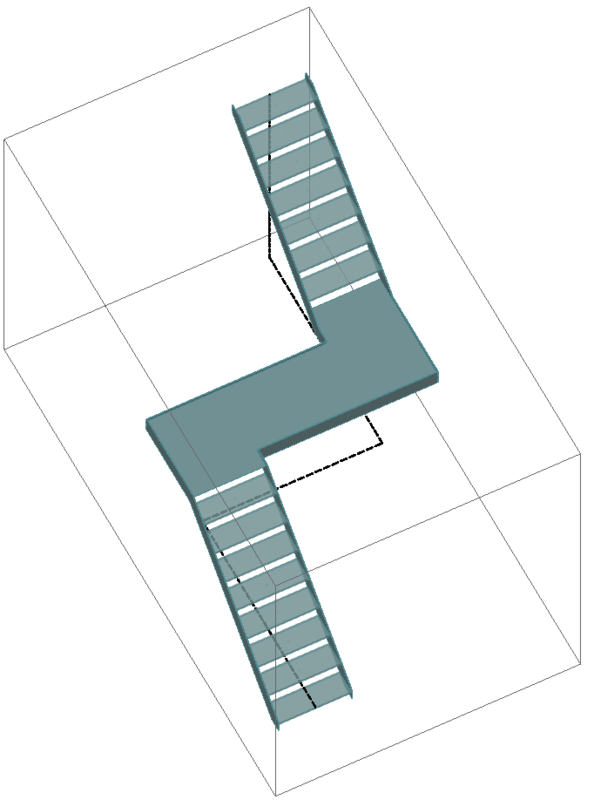 The”Straight stairs” command, for instance, offers the possibility to create stairs with one, two or three flights. 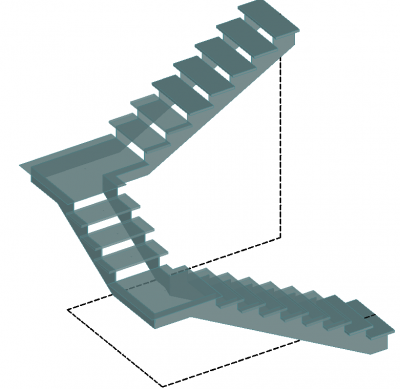 Single-flight staircases are theoretically simple in design, but details always make their completion harder to achieve. 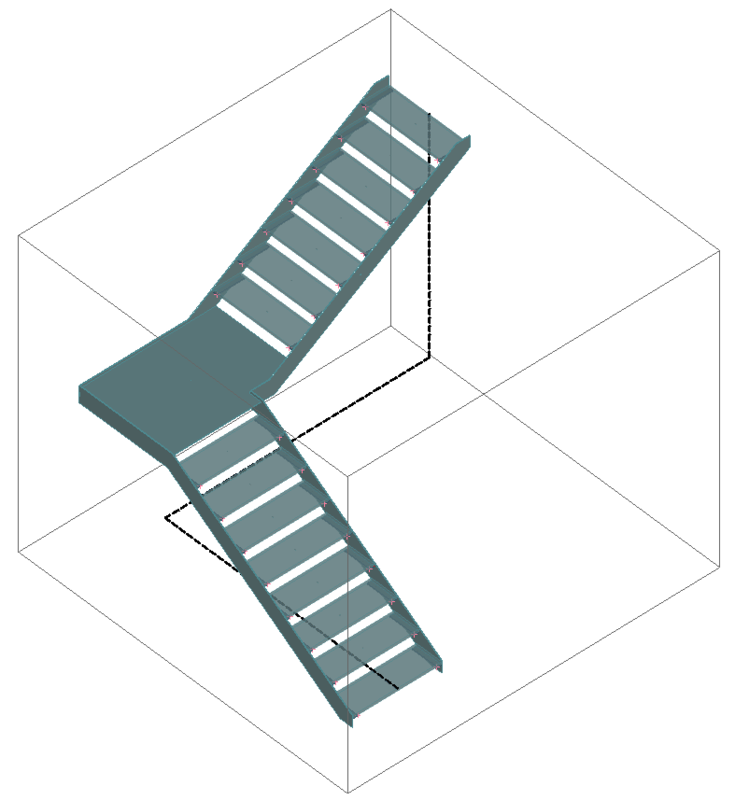 This however is not the case with the Graitec module, where stairs can be customized quite easily with the aid or appropriate commands. 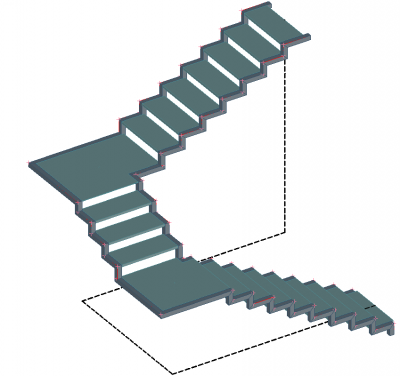 To give just one example, any step can be transformed in an intermediate landing and thus a much safer, comfort-increasing structure can be obtained . Also, for each type of staircase (straight, half-turn, quarter turn, balanced) the module allows defining a different width for the last tread. By entering an appropriate value, the user can therefore obtain a landing or a conversely top short stair. 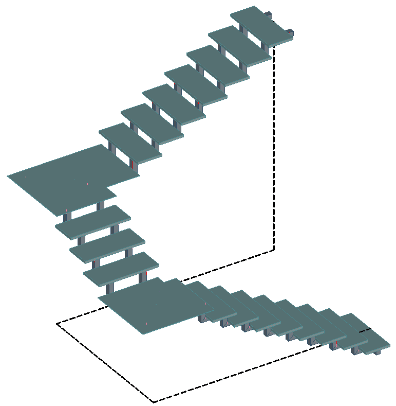 Another option designed for rapid customizations of stairs projects in Advance Steel enables users to set the positioning of the first step next to or above the floor, also allowing with a desired value. 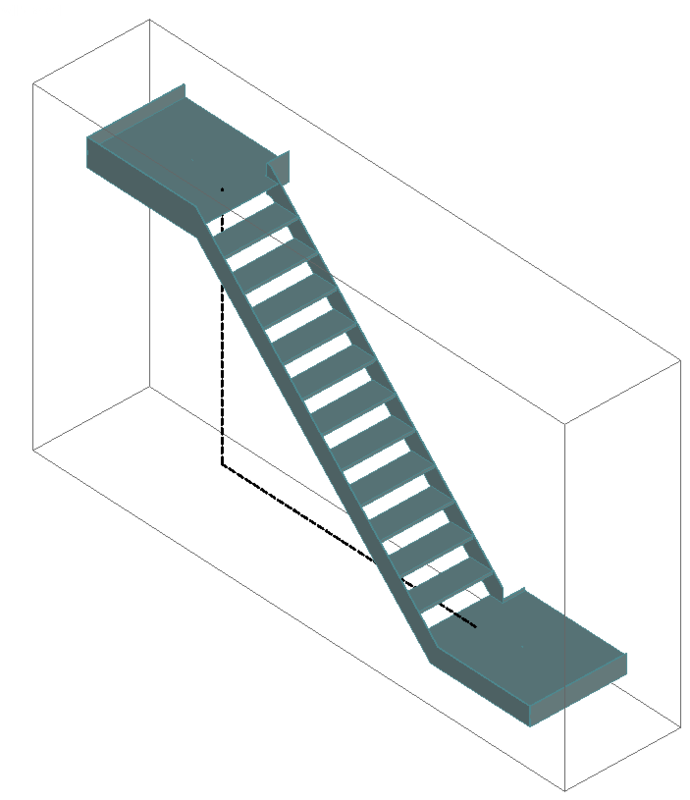 The same setting can also be applied to the last tread. The option is available after selecting the first/last tread from the “Tread details” tab. 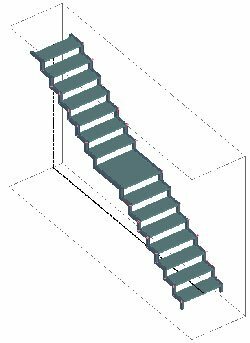 In common projects, buildings staircases have the same width over the entire stairs length, but special cases imposing a different approach. 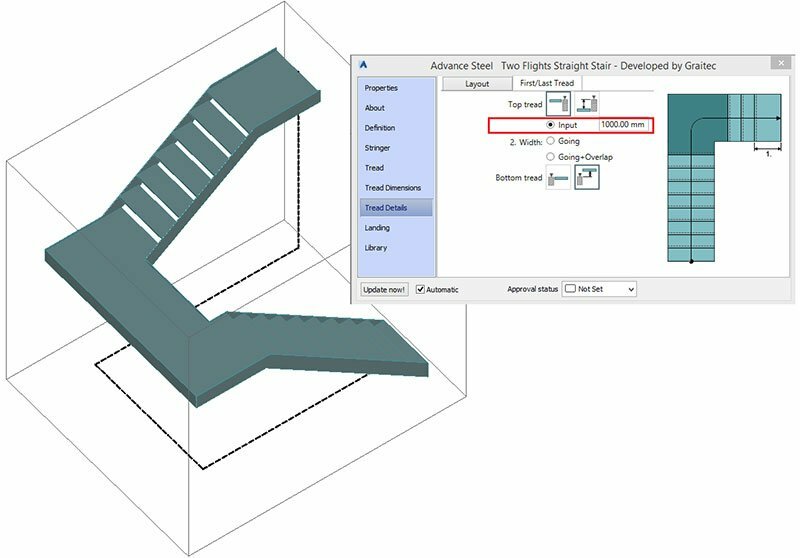 Offering full flexibility, Graitec Stairs and Railings plugin allows geometry adjustments, thus making it possible to define different widths for each flight. 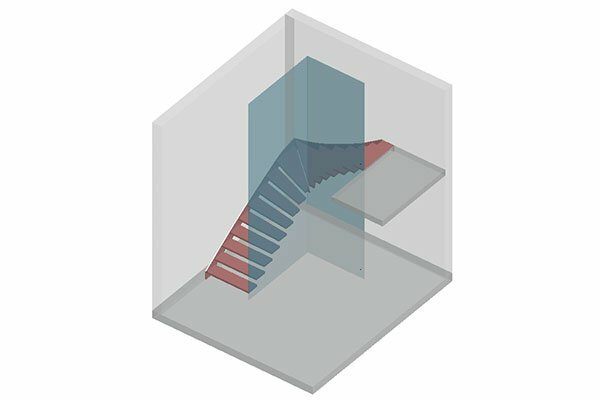 Besides creating straight stairs, the Graitec module has a command that automatically generates balanced stairs with one or two flights, which are perfectly fit for narrow spaces and residential locations. 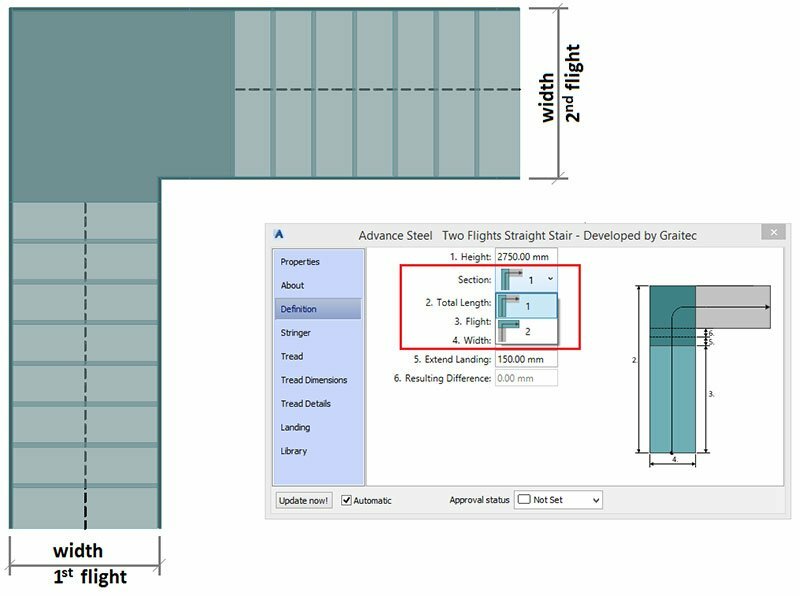 Assisted by the Graitec module, you can rapidly design railings on any object, without taking into account the restrictions imposed by Advance Steel, which requires a support beam in order to allow defining a new railing. 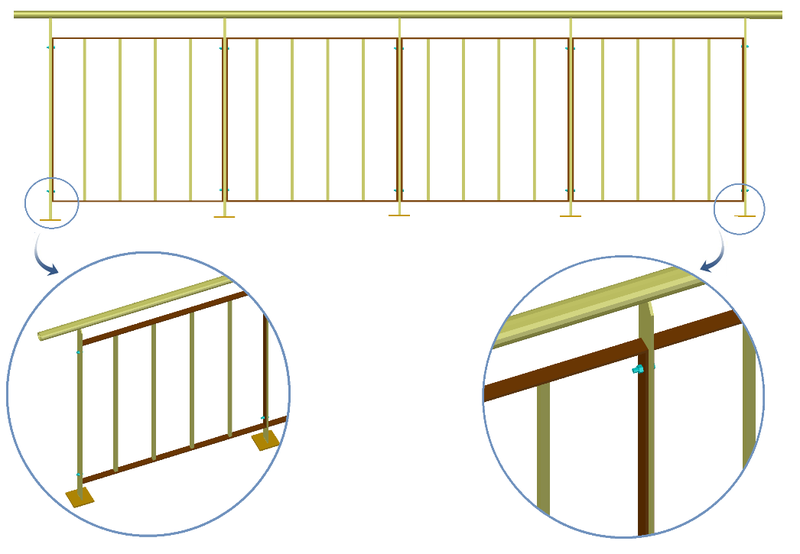 The module enables defining new railings starting from points, lines or beams. 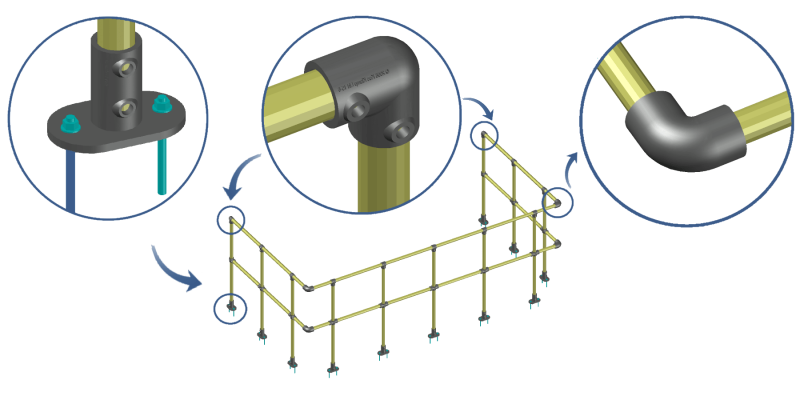 Moreover, the module brings a noticeable boost of flexibility to Advance Steel by introducing the possibility to choose a specific position for each post by selecting definition posts alone a line. 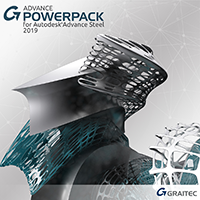 This means that no more posts will be automatically placed by the software formula in inconvenient places, thus making you save precious time otherwise spent on correcting these mistakes. 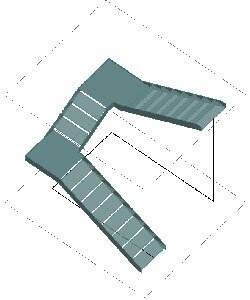 Note: this option is not available for curved supports. 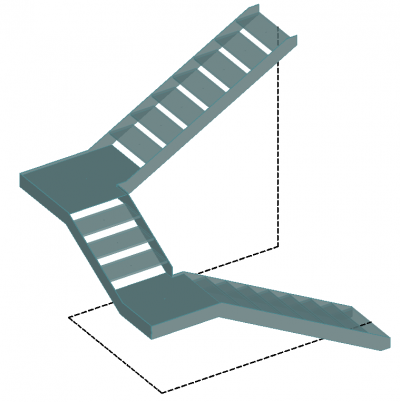 The panels can be welded to the posts or connected through special clamps. 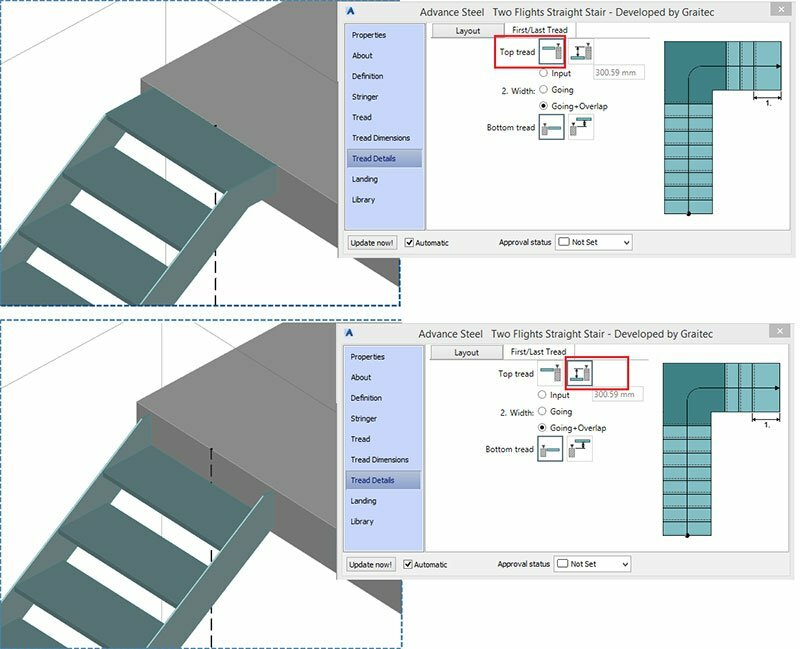 The users will have the possibility to choose a proper fitting from the existing library, as well as to create a user-defined fitting. 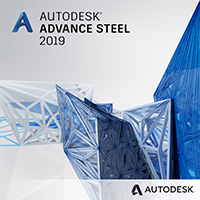 Any type of material available in the Advance Steel materials library can be used for the plate (including glass). 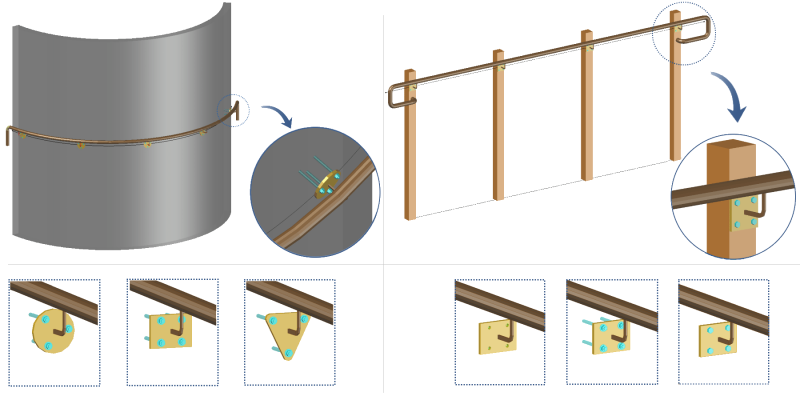 In this case the connection between the posts and the framed panel can be made through round bars and special clamps. 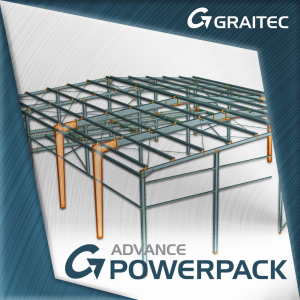 The panel is embedded in the steel frame through special cuts automatically created by the application. 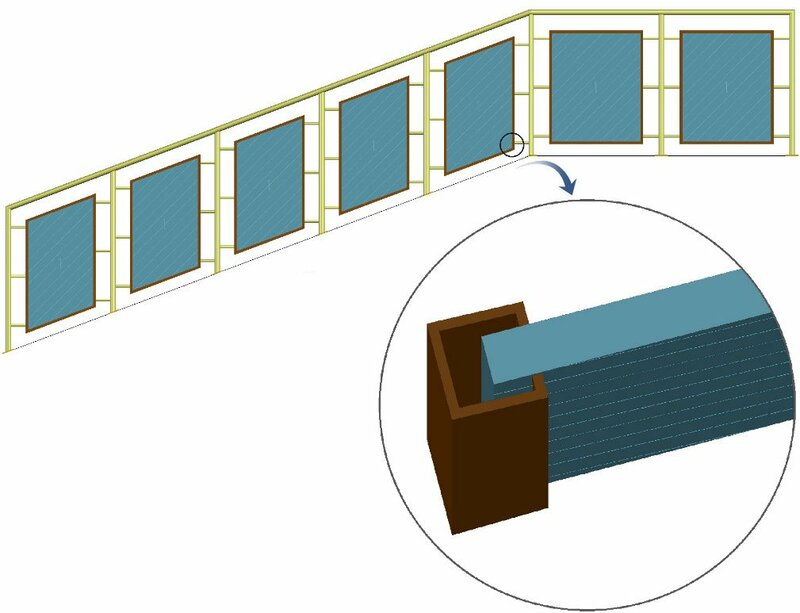 The same features as for the “Panels made from plate” option are available. 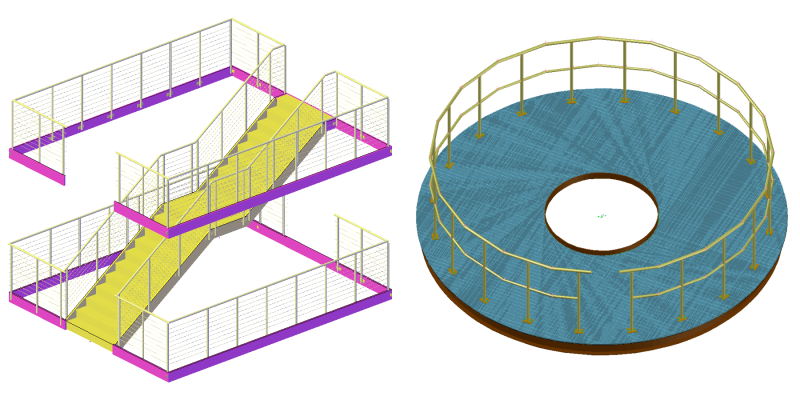 There’s no doubt that BIM Designers Stair and Railing is one of the most complex productivity-driven tools on the market, being equipped with innovative solutions that can generate a broad variety of stairs and railings enabling a high level of customization in order to fit in any site.